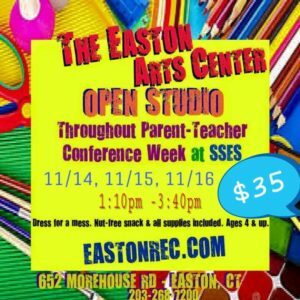 Join us for Parent/Teacher Conference Week Open Studio! Bus #8 to Easton Art Center! Dress for a mess. Nut-free snack & all supplies included.